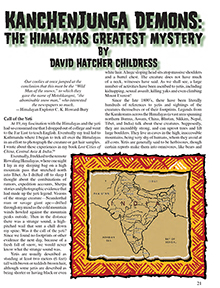 Kanchenjunga Demons: The Himalayas Greatest Mystery By David Hatcher Childress. Published in WEX Magazine Volume 5, Issue 5. Available as an instant Digital Download.